We have a wide range of different services to meet any demand you have. It is our goal to provide you with services you can rely on no matter what! Our transportation services are all luxurious, comfortable, and affordable because we believe that traveling does not have to be a stressful event. We are here to make transportation luxurious and relaxing! When you have a special event, a business trip, a wedding, or a simple night out with your friends, our limo services can help get you where you need to be! 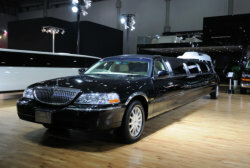 We will ensure that you are treated like royalty, when you ride with us! Getting to the airport does not have to be stressful or difficult. Simply give us a call and we will pick you up straight from your door and provide you with a luxurious ride that will guarantee you will arrive at the airport on time, no matter what. When you have a business event and you need to transport many people, trust in only our luxurious and reliable group vehicles! We can get your people where they need to be safely and easily. Your wedding is without a doubt the best day of your life and since you can only have one wedding, make sure it is a day to remember! We offer top-notch luxurious transportation options and vehicles to help make this special day even more memorable. It is important to have night outs with your friends to unwind and relax, especially after a long week at work. So let us provide you with luxurious transportation to make this night even more amazing for you and your friends! When you are hosting a concert or a sporting event, you are going to need vehicles that are capable of transporting large amount of people easily and safely. Our vehicles can do the job! When you are looking to ship out products or goods, our logistical services have your back. We can get your items wherever they need to be quickly, affordable, and reliably. If you are interested in learning more about our services and how we can help you out, please give us a call anytime at 1-617-307-4100. We are more than happy to answer any questions that you may have. We are at your service.